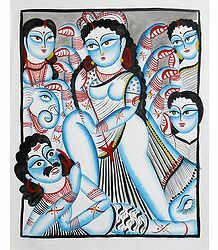 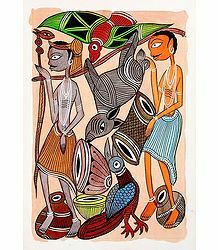 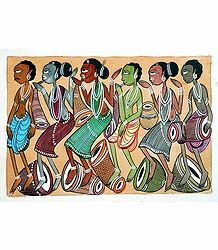 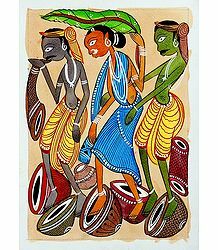 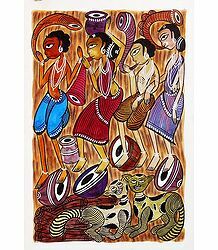 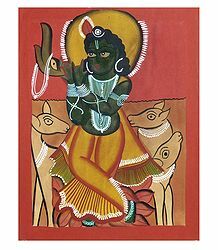 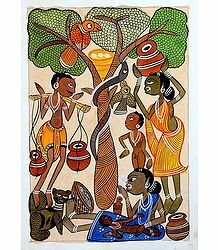 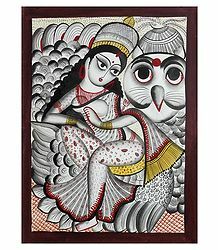 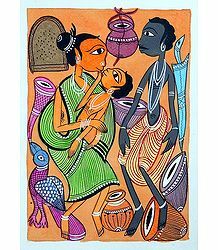 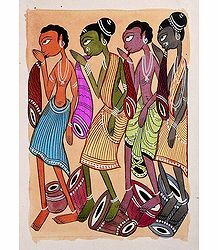 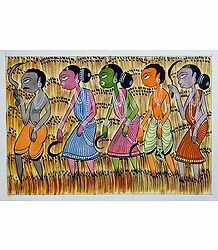 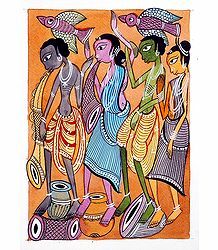 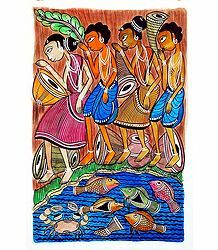 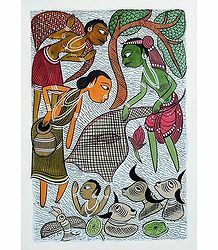 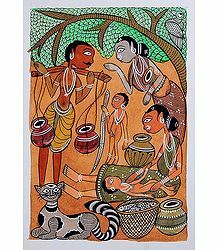 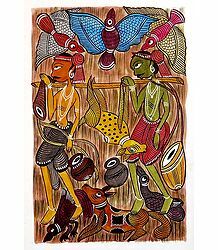 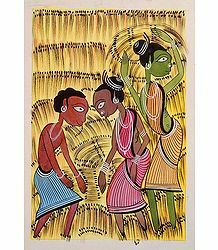 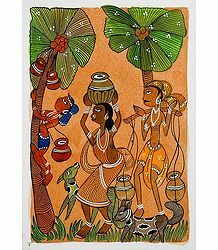 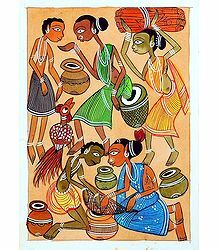 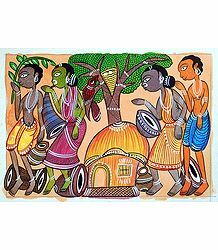 Kalighat Paintings originate from a town in West bengal called Kalighat, Kalighat is otherwise known for its Religious background. 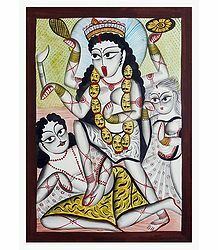 It is considered to be one of most sacred places in West Bengal. 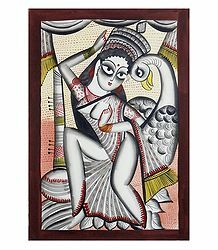 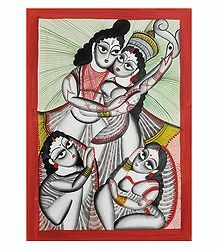 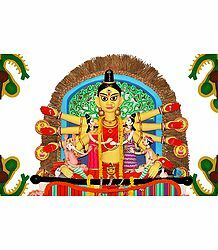 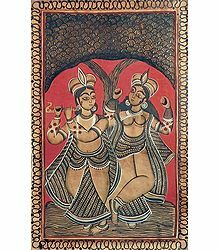 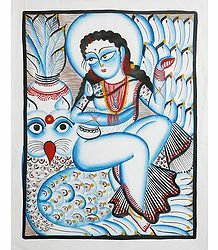 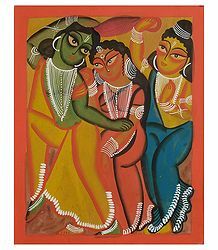 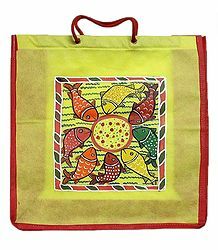 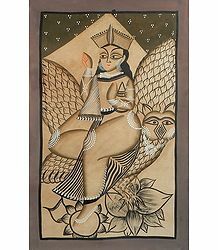 Kalighat Paintings have a typical and unique look.